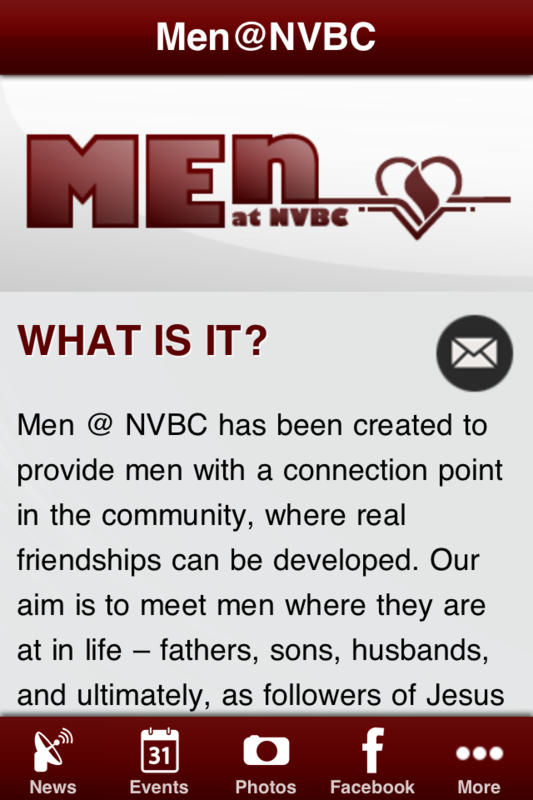 Now you can see what's happening at Men@NVBC on your smartphone or tablet! 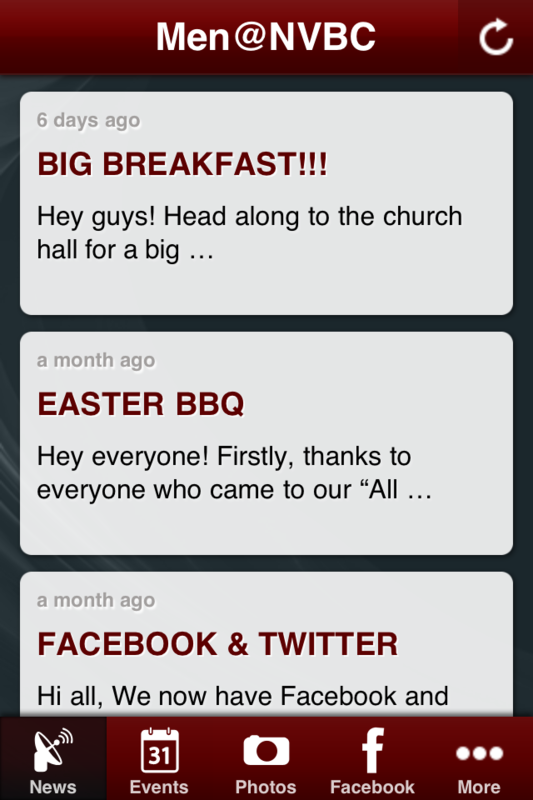 - News page with all our current updates. 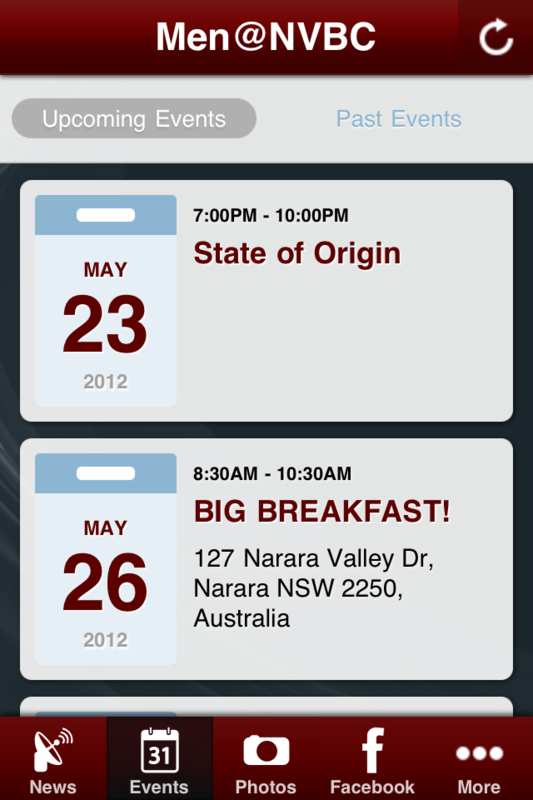 - Events page - our events calendar in your pocket. - Photos - check out the photos from our recent events. 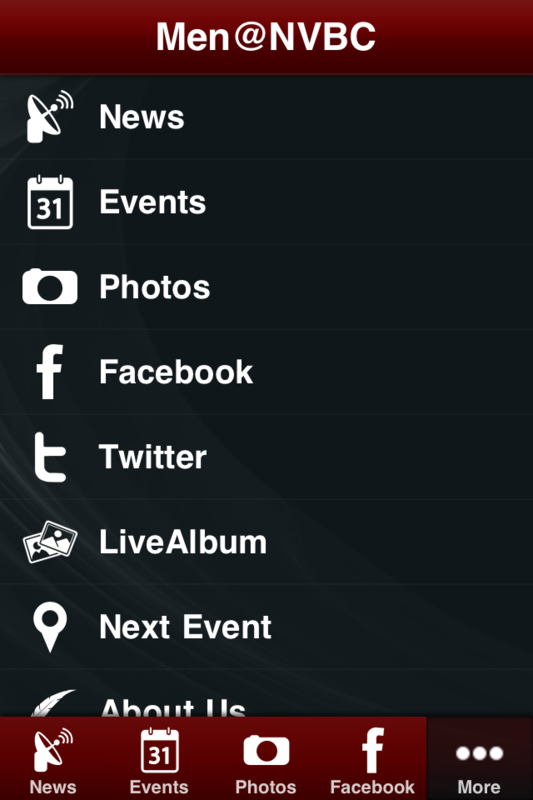 - LiveAlbum - post your photos direct to our Facebook page.